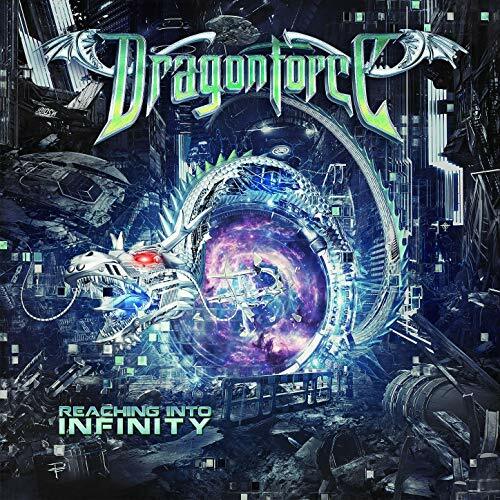 Reaching into Infinity is the seventh studio album by British power metal band DragonForce, released on 19 May 2017. It is the first studio album to feature drummer Gee Anzalone and the second by the band to be produced by Jens Bogren. A music video for “Ashes of the Dawn” was released on 15 May 2017, while a music video for “Midnight Madness” was released on 20 September 2017. The Special Edition includes a bonus DVD of Dragonforce, live at Woodstock Poland 2016. Music videos, taken from multiple angles, of Holding On, Heroes of our Time, and Operation Ground and Pound are featured in the DVD.